Homeschool Creations: A Full Month FREE!! 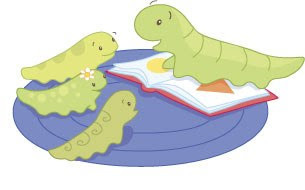 Tomorrow (April 1, 2009) Itty-Bitty Bookworm is going to run a “No April Fooling” promo. Anyone who visits their site and subscribes to their newsletter will receive the April curriculum absolutely FREE. If you'd like to read a little more about Itty-Bitty Bookworm, you can read my review about their curriculum here and also enter to win a FULL YEAR of the Bo's Curriculum. AWESOME! I am so so excited! Thank you so much for posting about this! Thank you so much for posting this. I have been wanting to try this out. Do you know if we have to wait until tomorrow to sign up for the newsletter to get the promotion? WOW! This is awesome. Thanks for sharing. I just went there and subscribed, still can't get the April curriculum free. Umm.. maybe I did something wrong. Will you please help me? Thank you! thanks so much for the post...I just downloaded the curriculum!